Join the Magic School Bus class on all their adventure filled field trips with this interactive video guide that helps focus on the key lessons and vocabulary in each episode! 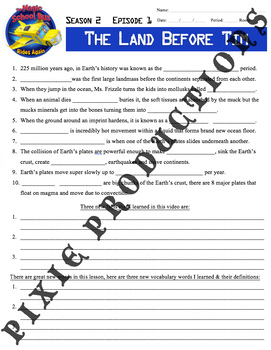 These worksheets are great for guiding children through the video and helping them to not only be involved in the learning process but to retain the information in a fun and educational way! When the class gets an invite to compete on Tim’s favorite TV game show, the bus takes them all back in time to bone up on how fossils are formed.